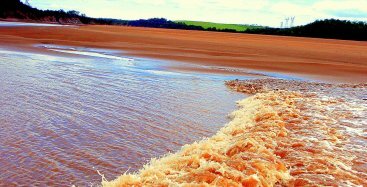 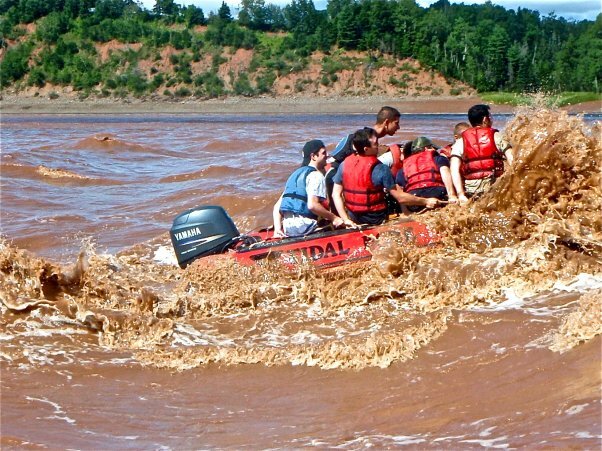 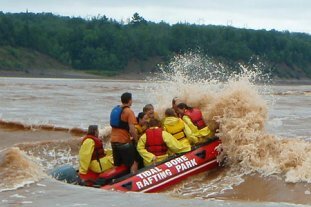 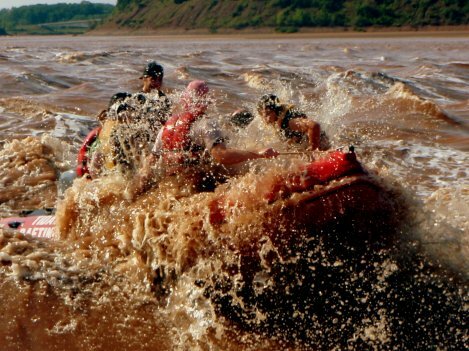 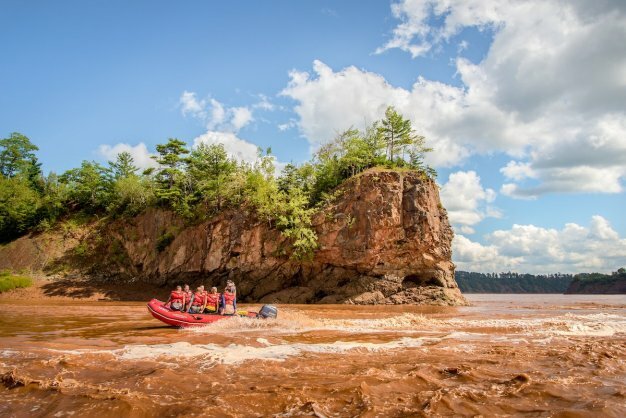 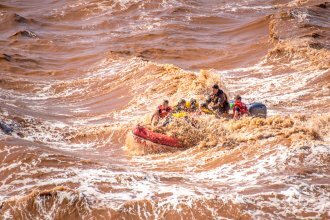 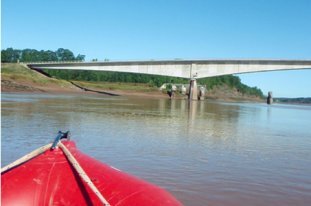 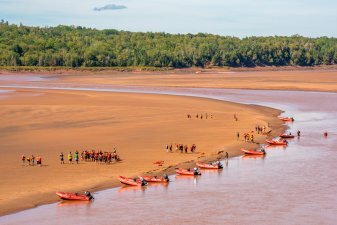 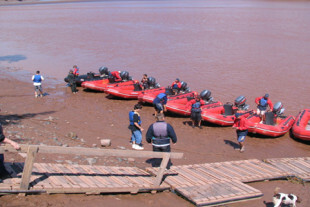 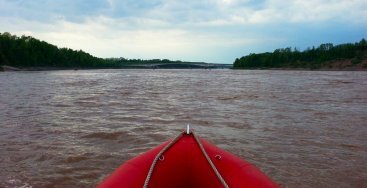 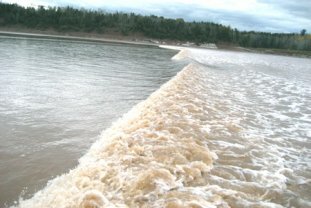 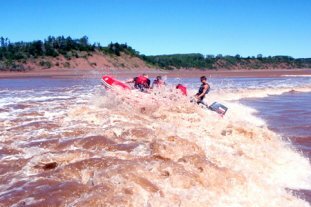 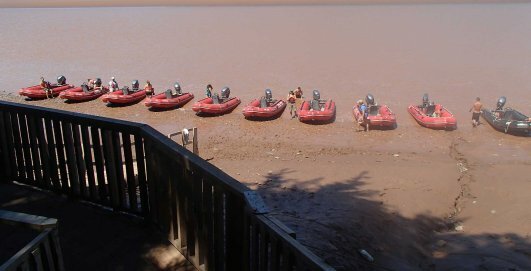 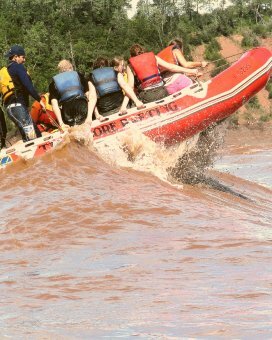 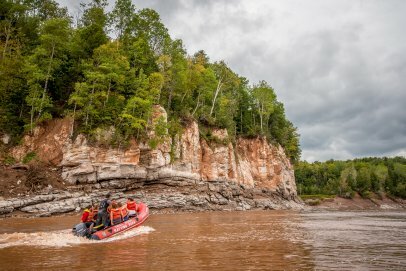 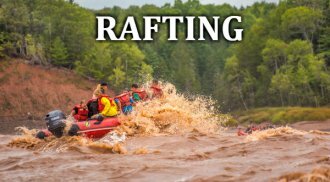 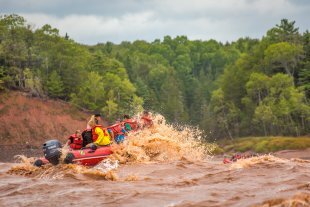 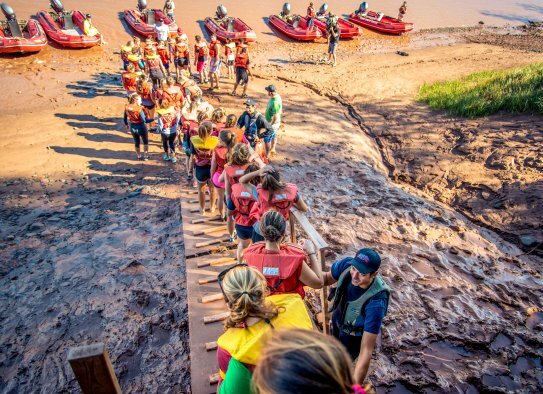 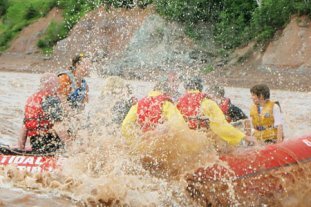 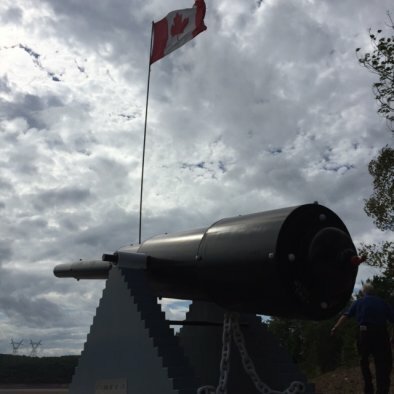 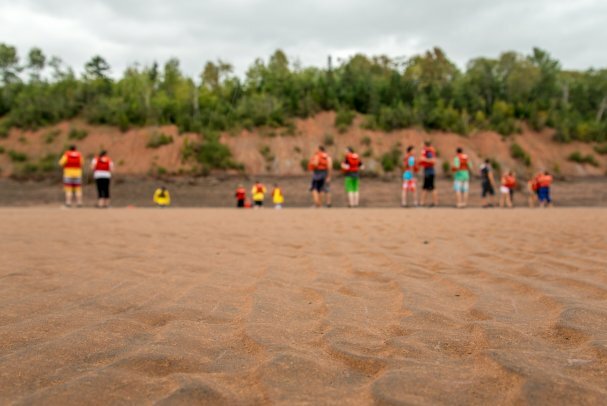 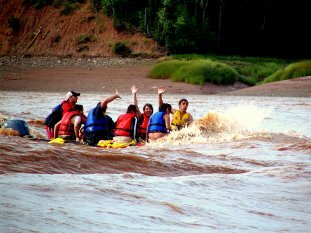 A wave from one of the thousands rafters on the river every year at Tidal Bore Rafting Park. 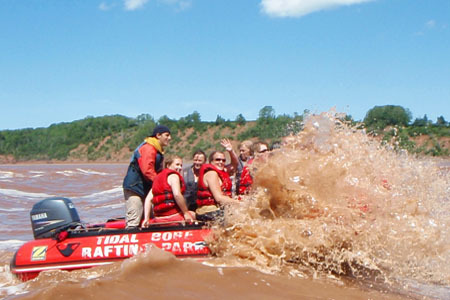 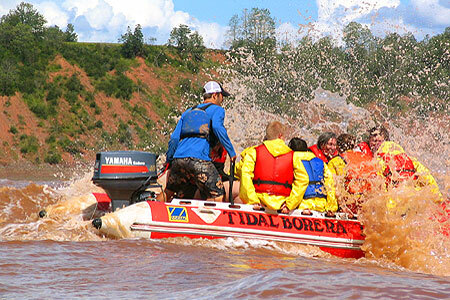 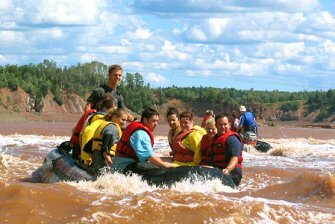 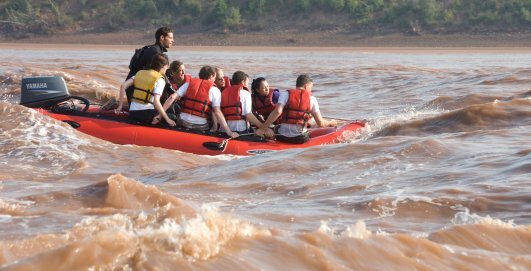 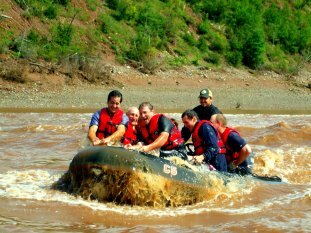 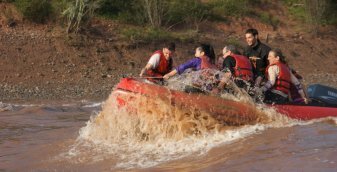 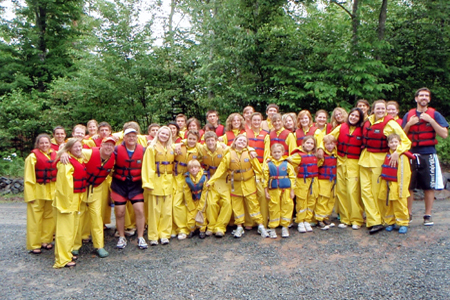 A river rafting tour can be a fun and exciting adventure for a family or corporate event. 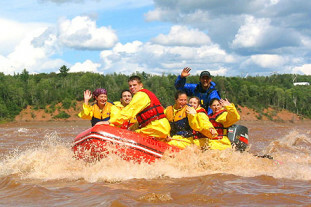 Fun on the river (summer 2008). 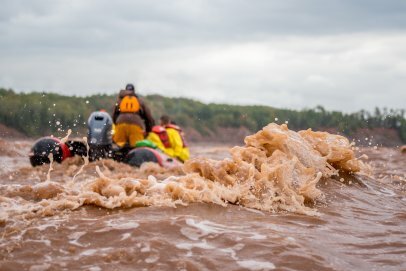 The surf made taking this photo just a little more difficult. 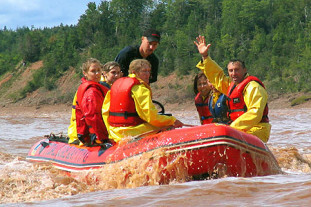 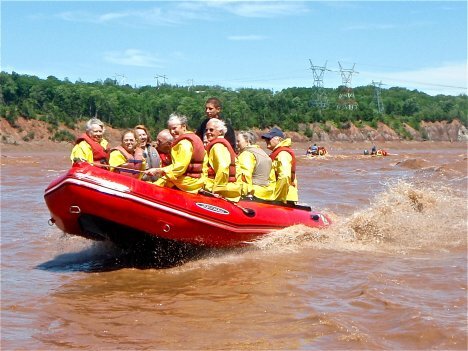 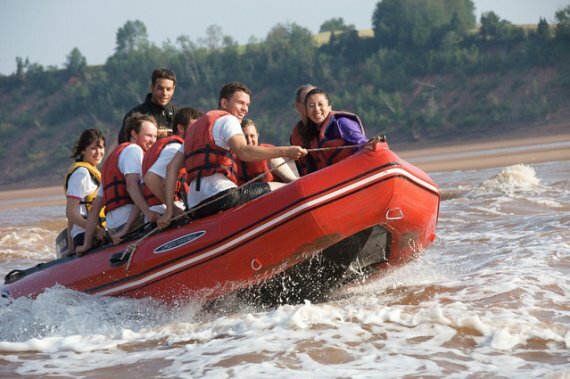 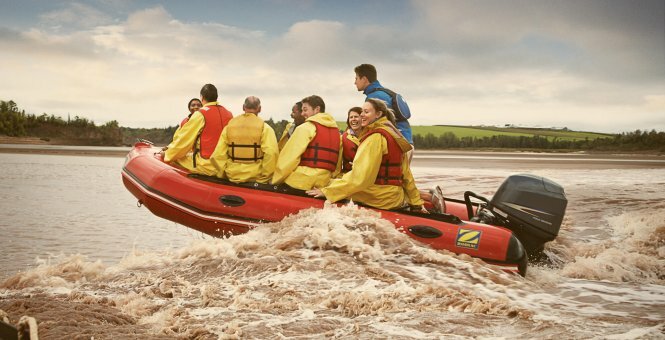 Our customers soon realize the importance of our yellow rain suits when a Zodiac hits a huge tidal bore wave. 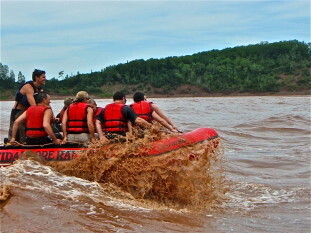 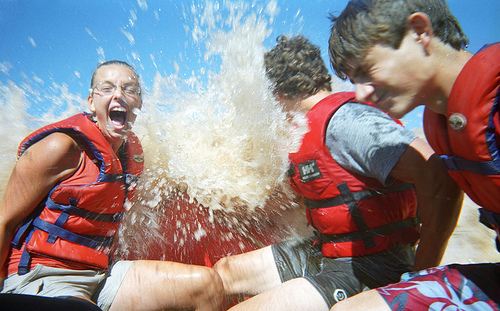 A hot day in summer is the perfect time for a refreshing river rafting adventure.